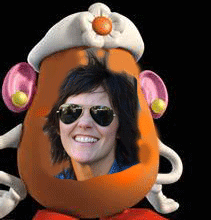 The World is my Potato. I cannot find a single piece of encouraging information in my newspaper. Yes. I read a newspaper. This may shock some of you, since you all know that I spend an exponential amount of time on a computer media socializing. Sometimes you just need good old fashioned paper and ink stains on your fingers. I like it that way, and so long as someone is willing to toss a newspaper into my driveway every morning, I am in. So, let's briefly summarize the news as I see it. 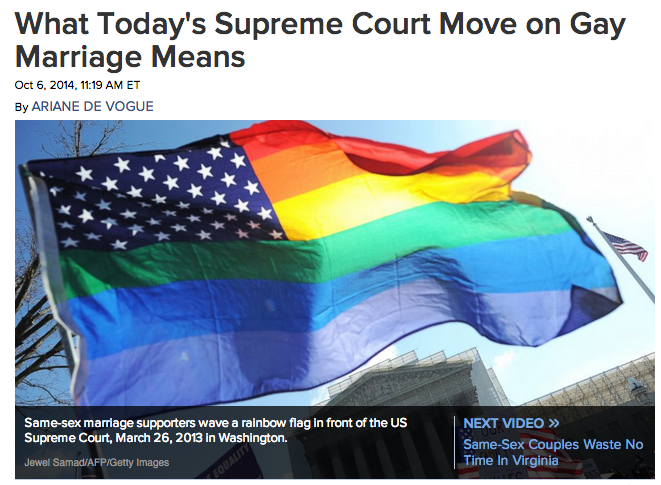 The United States Supreme Court does absolutely nothing to advance equality on a national level. 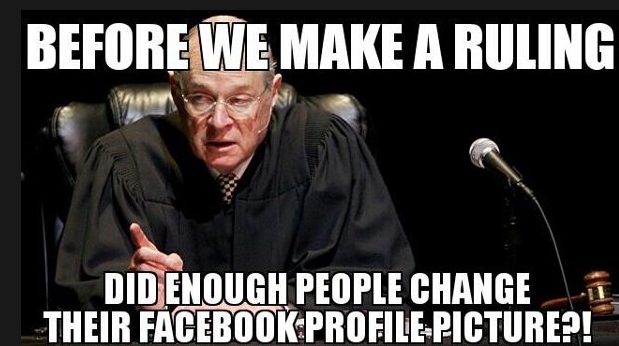 I mean, our one and only chance for some good news, and The Supreme Court sits there like a bunch of twits with nothing to say. So now my friends in places like Virginia and 4 other states CAN get married, because the Supreme Court is NOT making a decision. And all the other states, well, tough crap. So I am not married in Louisiana. Or in 20 other states. comfortable perched here in my black robe decisionless for you and every gay American and those that love them, says every single Supreme Court Judge right TO MY FACE with a giggle. It makes me extremely unattracted to anyone on the Supreme Court, even though I could "technically" date one of them in a state like Louisiana, thanks to their LAZY COMPLACENCY! And then there's ISIS/IL. I have been to the Middle East. This, by no means, makes me an expert on the affairs carried out in the region. It does, however, enable me to say unequivocally that not everyone in the Middle East wants to cut American citizens heads off. 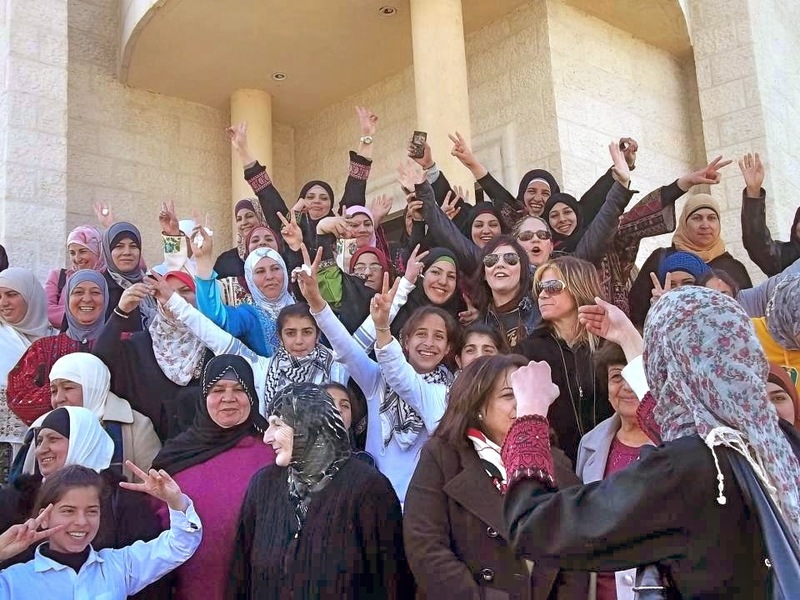 Americans and Middle Easterners co-mingling happily in The West Bank (Palestine). Basically, the Middle East is having a PR crisis and they need to fix it STAT. The guys in the minority over there cutting peoples heads off are casting a very long shadow over every single Middle Easterner. And our government seems cool as cucumbers about it all. It's like Obama is just fine with us 'head counting' - "now it's 3, whoops 4!" I am unwilling to live like this, fearing entire regions of the world filled with more kind people than bad ones. And I know for a fact, without even asking, that you are too. WHERE IS THE GAME PLAN, PEOPLE? NOBODY IN WASHINGTON DC HAS ONE!!! But men in blue suits and tele prompters need to shut the f* up. And YOU ALL agree with me. The corruption in our own government is forcing us to watch our own people getting their heads cut off in the Middle East ON YOU TUBE! That is NOT a leap. And I am NOT some crazy left wing liberal. Believe it or not, Rachel Maddow is not my primary news source. And neither is Anderson Cooper. Even though I bet they're both really nice people. I actually watch Fox News sometimes (I believe it's important to keep the enemy close). And Morning Joe. I do not think Sean Hannity is a nice person, but I went to college with 50 Morning Joe's and Bill O'Reilly actually makes me nervous laugh with some of the things he says. And whether I agree with him or not, I like that he says what he thinks and is outraged in his own right. I am capable of taking it all in, mixing it in my blender and drawing my own conclusions. Let's keep the amazing 2 party system in place that we have and continue to force our 'civilized' brand of democracy on everyone while we watch the world fall to pieces around us. And the one opportunity we are given to put a bright and happy story in #Hendo's New York Times, yeah, let's just remain undecided on that. Seriously. I am taking suggestions. Right here on this blog. Sound OFF people! Leave yours in the comment boxes below. I will compile and update you all as to our best course of action. In the meantime, I am strongly contemplating running for Prez in 2016. This blog may not have won me the support of Ms. Maddow, but there's a strong possibility I've gained that of Bill O'Reilly, and that's what it's all about. Blurring lines. Keeping it weird. Mashing it up. PS-I do not actually think I have gained the support of Mr. O'Reilly. That's just me using a little dramatic flair for the sake of the blog post.